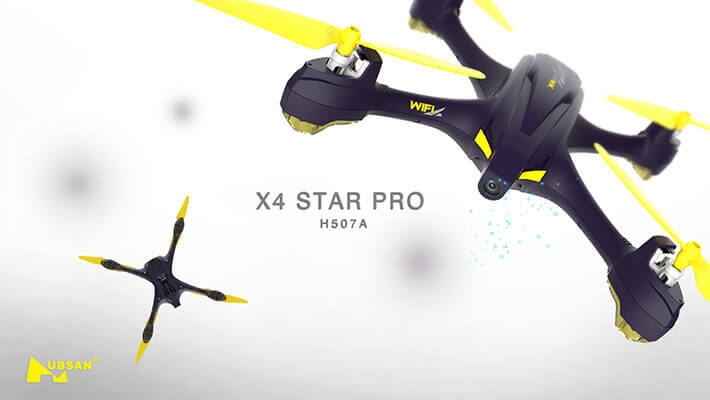 The H507A X4 Star Pro is another new APP FPV Quadcopter from Hubsan and features a built-in 720P HD Camera, return to home mode, automatic take off, intelligent failsafe return to home/landing, built in GPS, follow me flight mode, altitude adjust and a headless flight mode to make the quad even easier to fly. 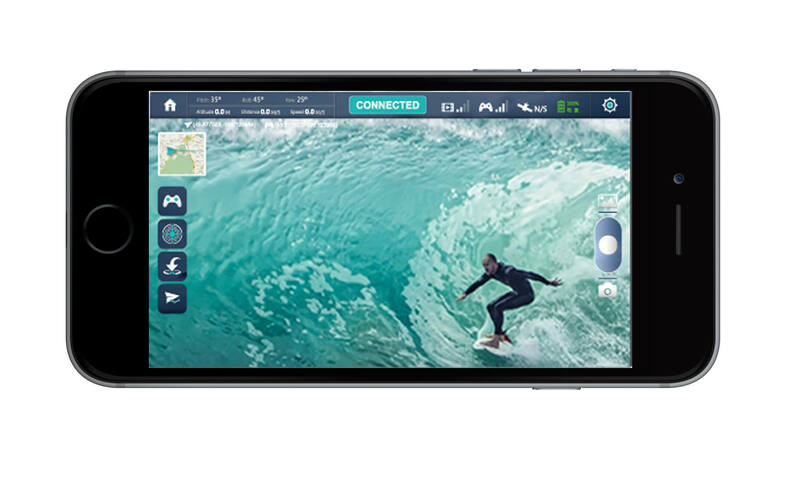 The H507A X4 Star Pro does not come with a traditional handset/transmitter and is flown via an app on your smart phone or tablet. What really sets the H507A X4 Star Pro apart from its rivals is its impressive array of features, some of which are normally found on much more expensive models. The orbit mode, follow me mode and GPS waypoints coupled with the 720P HD camera allow for some stunning aerial photography and videos. The intelligent low power failsafe mode will automatically determine whether to automatically land or return to home depending on the amount of power it has left. The Hubsan H507A features a headless flight mode which makes flying easy and makes the H507A even easier to fly for beginners and more experienced pilots. 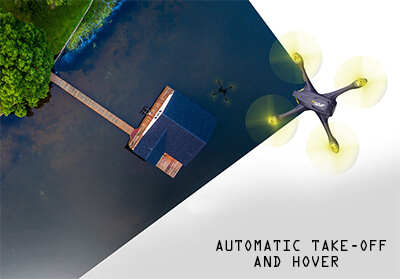 With the headless mode the quadcopter will always fly forward no matter which way it is pointing, so you don’t have to worry about the orientation of the quadcopter. The H507A X4 Star Pro features a real time 720p resolution WiFi video feed to your mobile device for flying and image capture. With the orbit shooting you can set a point and your H507A will fly 360 degrees around the orbit point allowing you to capture that perfect image or video. 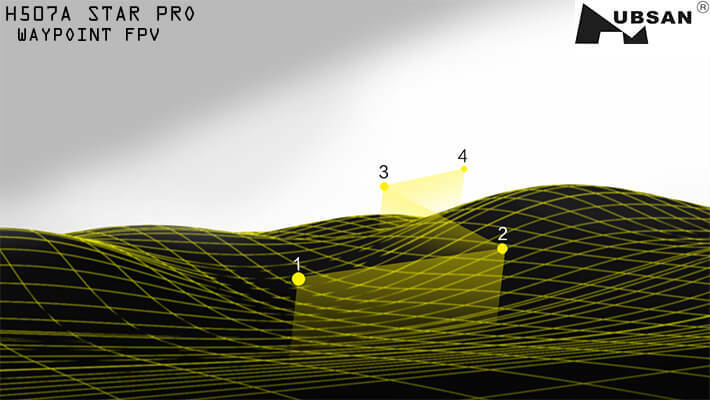 The H507A X4 Star Pro has an array of GPS flight features, you can set waypoints so the H507A X4 will fly a course you set on the map. The gravity sensor coupled with the accurate GPS positioning help the H507A maintain a fixed position and height, all of this is controlled from the convenience of your IOS or Android device. 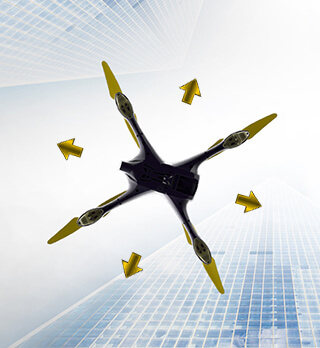 With the H507A X4 Star Pro a simple press of a button allows the H507A to automatically take flight, paired with the waypoint function the quadcopter can follow its given flight plan. The automatic hover allows you to keep flying without constantly correcting the throttle to keep the H507A in the air, this means you can conserve battery power and also have a more enjoyable flight.